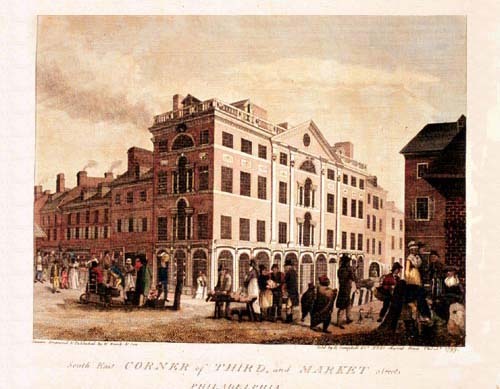 The building at the corner is "Cooke's Folly," built about 1792 by Joseph Cooke, goldsmith and jeweler. 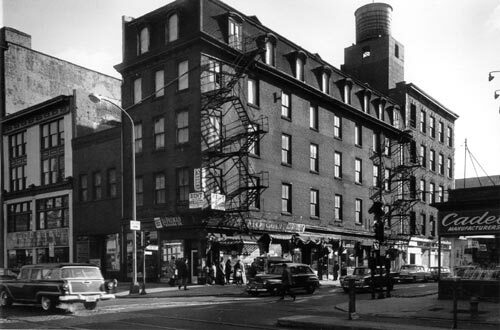 Splendid shops were on the ground floor (Cooke's was on the corner) and elegant apartments above. Regarded as being too fine for its age, it gradually fell into decay and was demolished about 1838. Street vendors, who probably could not afford stalls in one of the adjacent market sheds, are seen selling meat, produce and other goods. The landmark Indian King tavern appears on the far left. Over decades it was the scene of meetings of the Grand Lodge of Free and Accepted Masons. 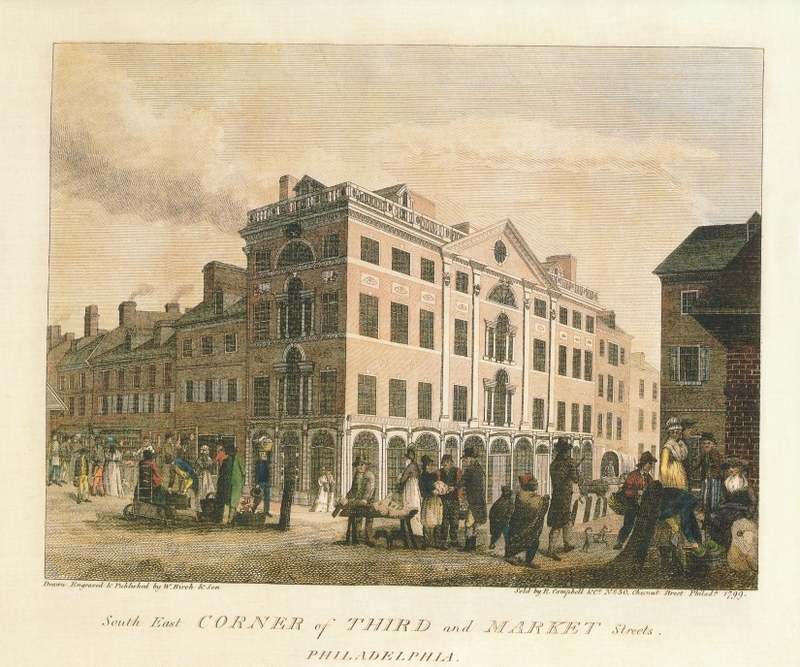 As early as 1800, High Street was also called Market Street because of the sheds in the center. That name was made official by an ordinance of 1858, ironically just a year before the sheds were ordered removed. The building now on the corner was never too fine for its age. In 1960 it appeared to be heading for the same fate as "Cooke's Folly," but in the late 1990s it was extensively renovated. Today there is a restaurant on the ground floor and dwellings above. A variety of other restaurants, pricey and affordable, are located in the area and in pleasant weather many have sidewalk cafes. 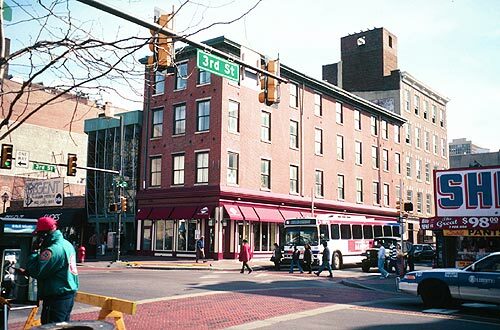 For the past thirty years Philadelphia has enjoyed a restaurant renaissance which is especially vital through this neighborhood.